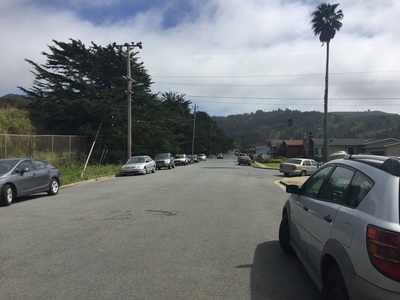 Parking: Free parking at the address above (end of Fairway Dr), please be respectful of residents. Best time to visit: Anytime on a clear day, but these trails can get windy. 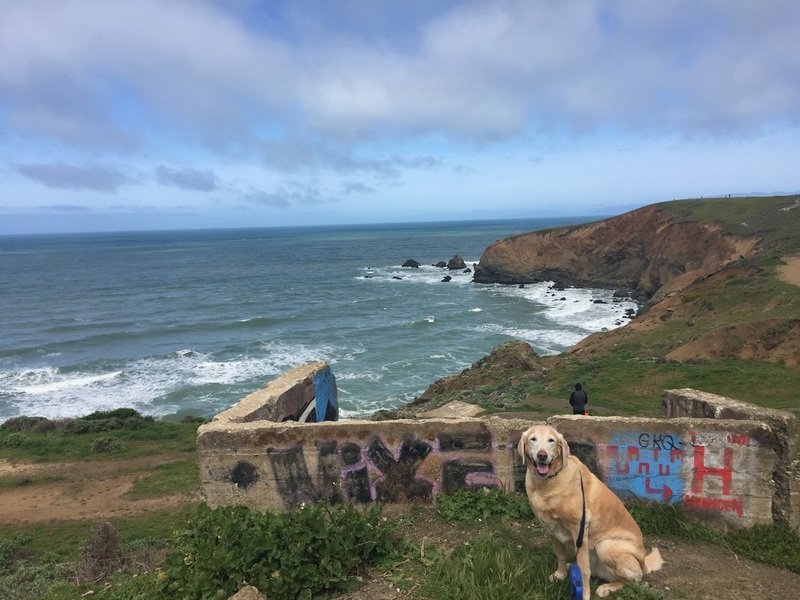 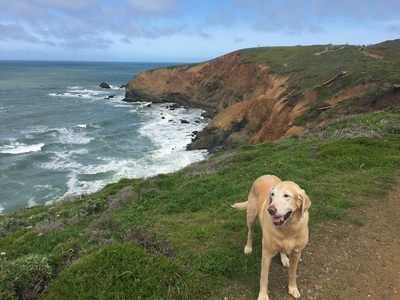 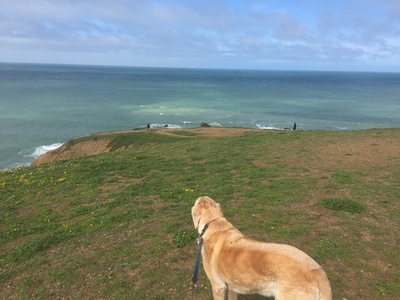 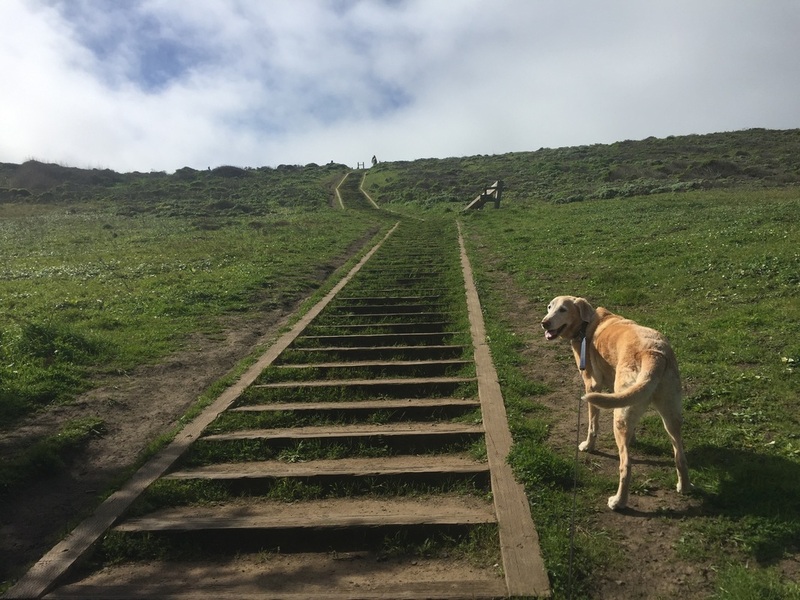 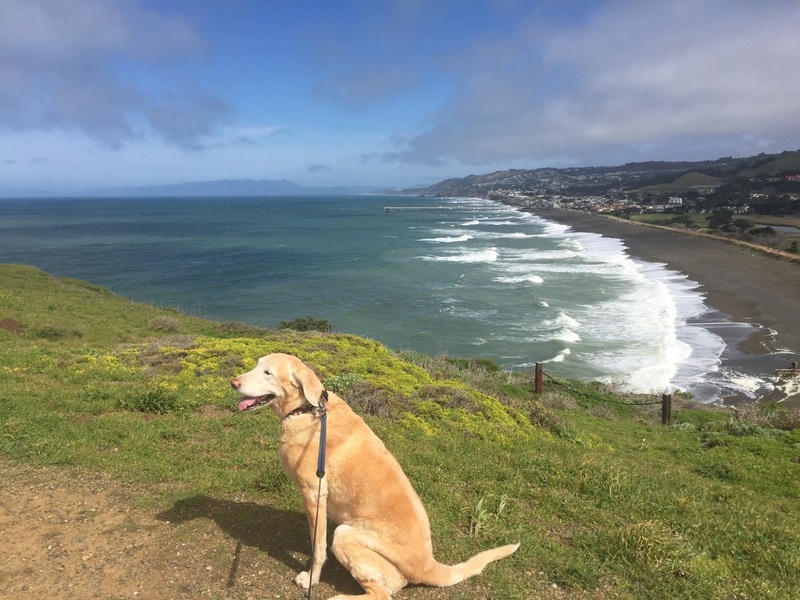 Description: This 32-acre park offers gorgeous coastal hikes with options for a leisurely stroll along the coast or a more challenging hike up the cliff side. 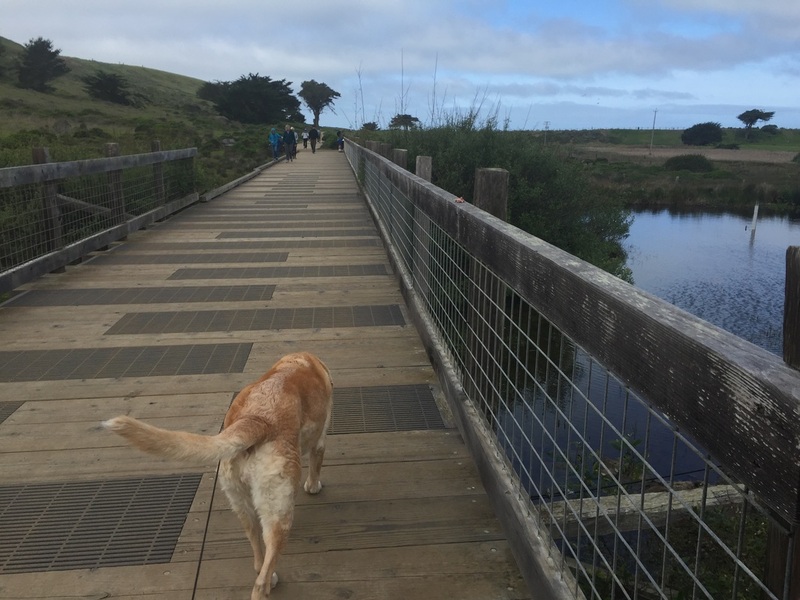 Your hike starts at the end of Fairway Drive, over a wooden bridge in back of some houses. It soon opens up to a wetland, with red-legged frog ponds along a boardwalk. 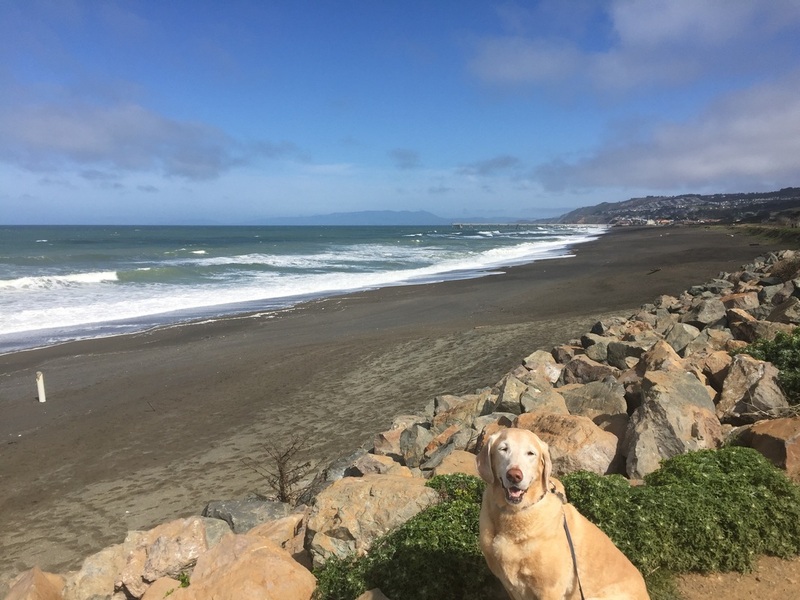 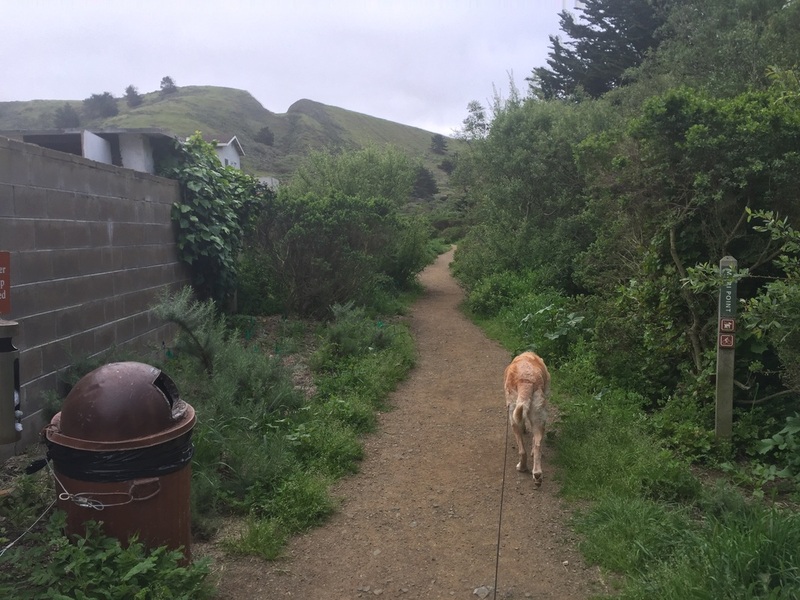 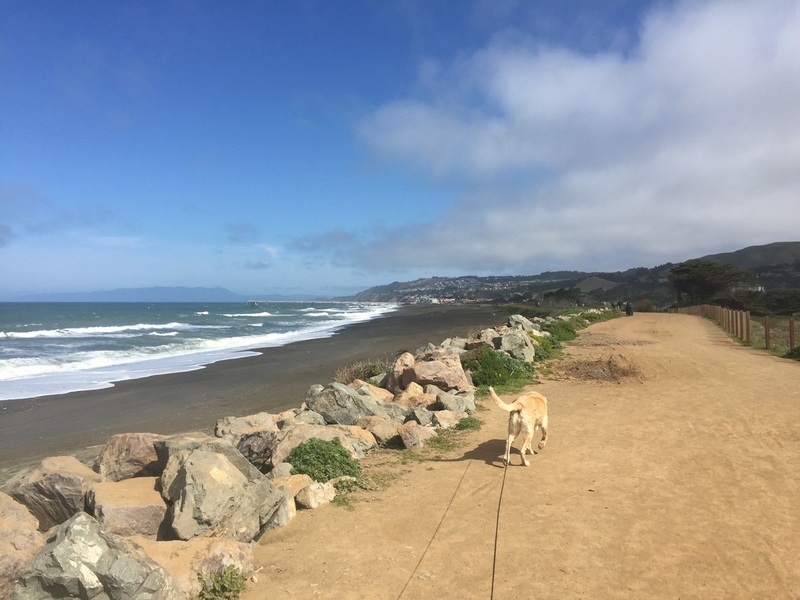 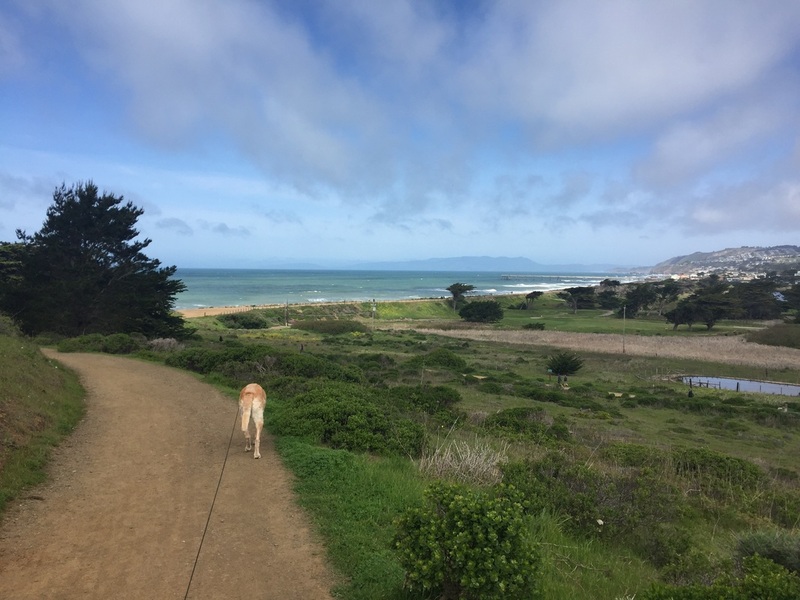 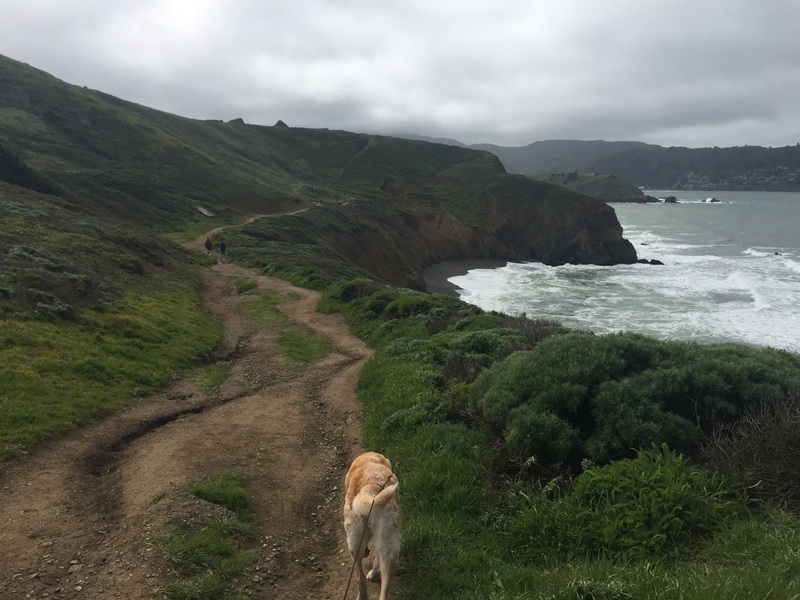 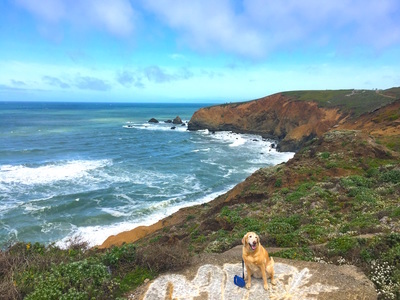 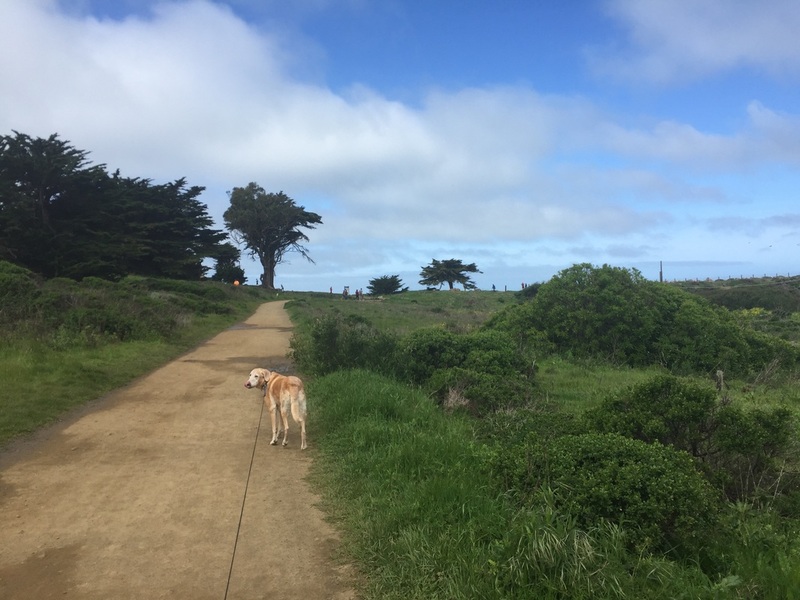 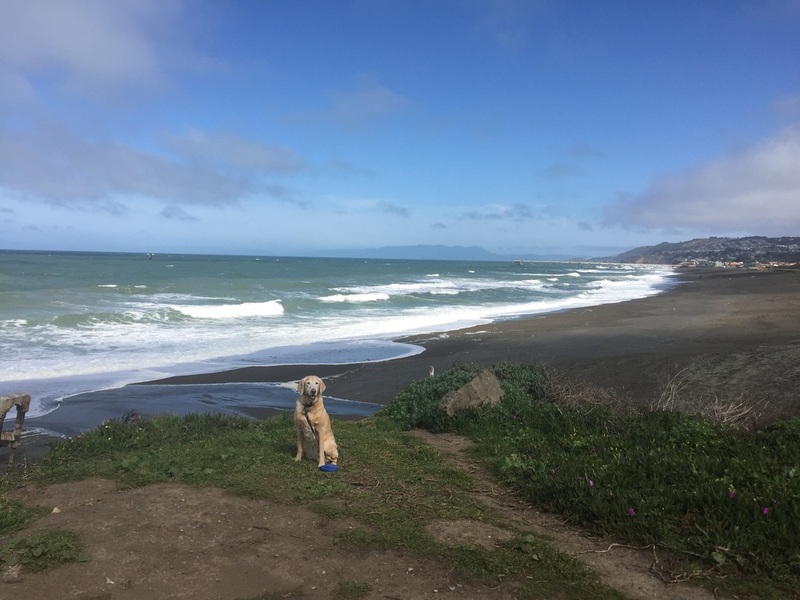 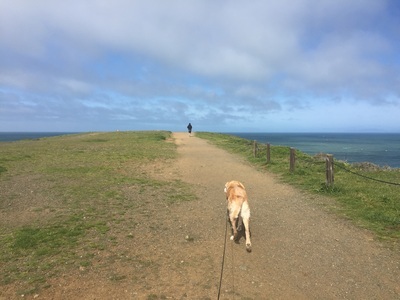 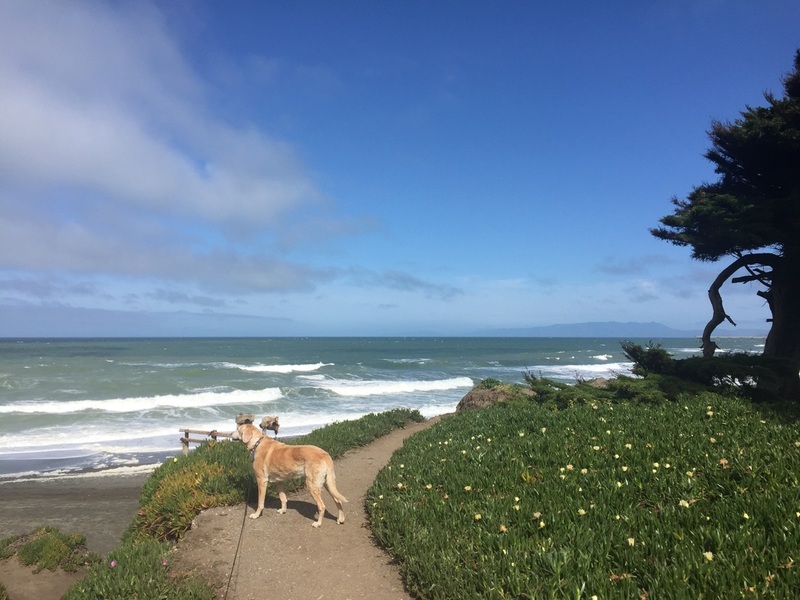 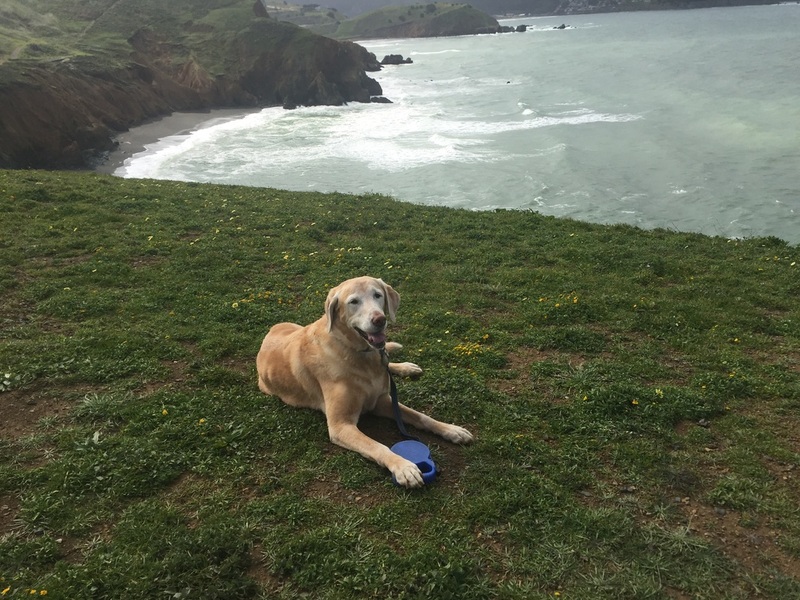 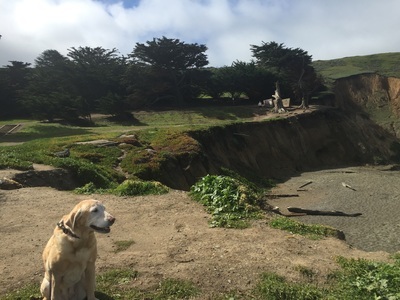 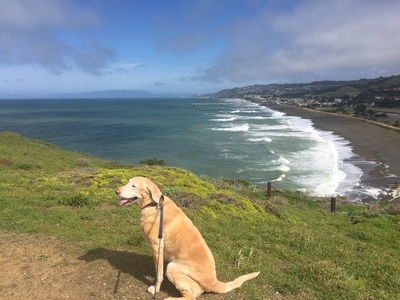 If you continue straight ahead, you’ll reach Sharp Park Beach, where dogs are allowed if on-leash. 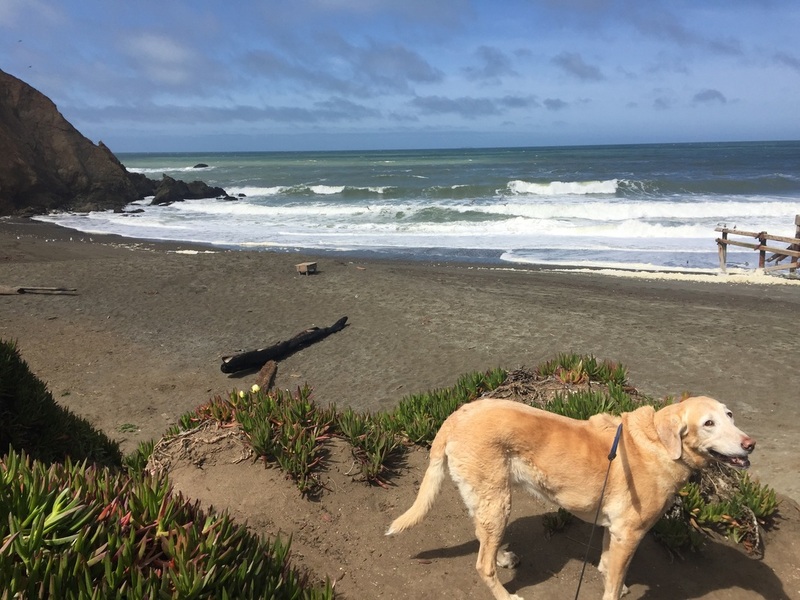 The city has proposed to make this beach off-leash, but it’s not official yet. 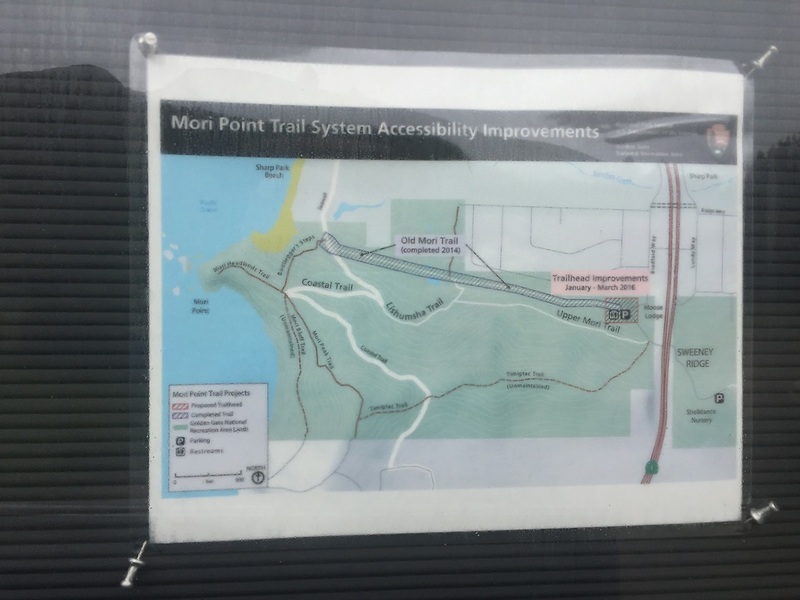 If you head to your right, you can walk along the coast via a flat 0.5 mile trail. 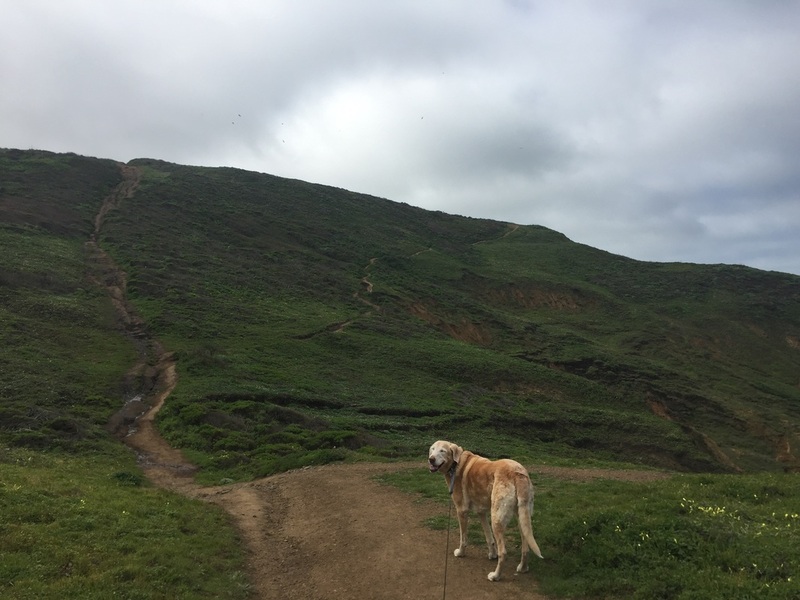 If instead you go left, you will climb some stairs and reach a gorgeous cliff overlooking the ocean. 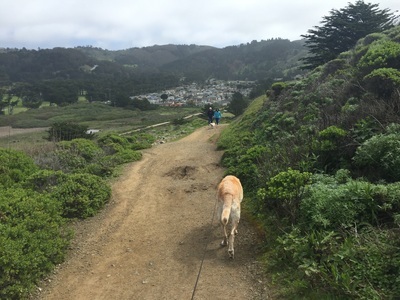 You can continue ahead along a rocky trail hugging the coast, which soon snakes steeply up the hill for a 1.5 mile hike. During your hike you’ll pass through green bluffs dotted with wildflowers and you will have stunning views of the ocean and cliff side. On your hike back you can retrace your steps down the stairs, or instead take the trail to your right, which has a switchback and leads you back near the bottom of the stairs. 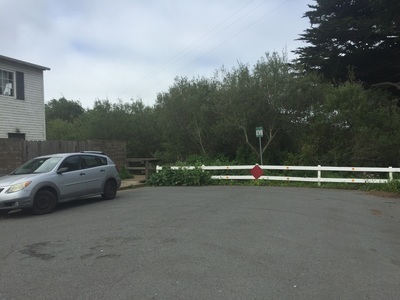 This place has a lot of history, and was once farmland and home to the Mori Point Inn, a speakeasy during prohibition. 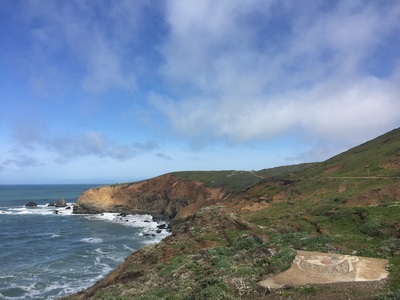 On the cliff side, there are still remnants of structures used to pull buckets of sand ashore during WWII.